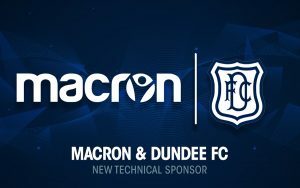 Home / International Football / Europe / Macron & Dundee FC announce five year partnership! Scottish Premiership side Dundee Football Club have announced a new five-year kit sponsorship deal with Italian Sportswear Company Macron. Macron will provide technical playing and training kit to the first team and youth academy and will expand on the range of leisurewear currently available in the Dundee FC Club Shop. The Macron deal will commence prior to the 2019/20 season and the first Macron-made Dundee FC kit will be launched later this year. Previous Ben Garner joins ATK as new assistant coach! Next Chinese Super League partners with LaLiga to fuel global growth!